I’m facing downhill, doing slow awkward zigs and zags on my skis. My legs and thighs are killing me. But making a right turn, I lead with my big toe, pushing it down–and suddenly I get a boost of power to my knees, and I literally feel lighter and my legs stop hurting. I’m not in Tahoe or Aspen, the snow-covered slopes of Utah, or Chamonix. 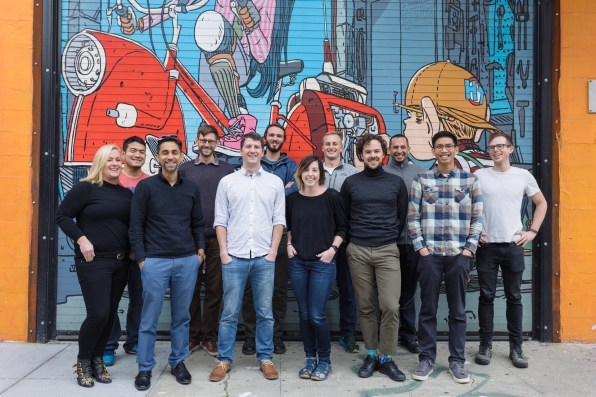 In fact, I’m in a warehouse in San Francisco’s Inner Mission, strapped into what amounts to a skiing treadmill inside the offices of Roam Robotics. And I’m wearing a prototype of Roam’s lightweight exoskeleton for skiers, an affordable wearable device designed to give skiers of any skill level a boost of power that can take their performance to the next level. For some time, Roam has been working with the military on systems that help Navy Seals walk and run faster and more efficiently. After wearing one of those devices, someone who had never run faster than a six-minute mile reported hitting 5,280 feet in 4.5 minutes. 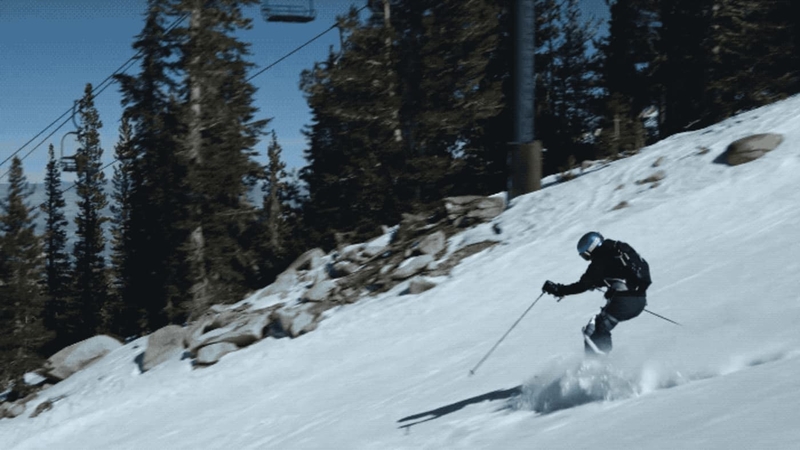 Now the company is readying its first consumer exoskeleton, and Roam believes skiing is the perfect use case given that its exoskeletons deliver power to the legs, fit well with an active lifestyle, and represent a large potential market. So skiers better get ready to start seeing people zipping by them effortlessly on the slopes wearing what appears to be little more than standard leg braces. When released, Roam plans on focusing largely on the rental market, and it thinks it can quickly make back the cost of the devices in a few weeks that way, while also iterating the technology as they learn what works and what doesn’t. It also plans on selling a small number of devices at about $2,000 a pop. At its core, Roam’s devices are about delivering power with a low weight cost–and benefitting anyone, no matter how good a skier you are. Experts should find themselves able to do turns they couldn’t before, Swift predicts, or go comfortably into the backcountry, while leisure skiers should be able to stay out on the slopes all day and even ski multiple full days in a row, even if they’re not in shape. 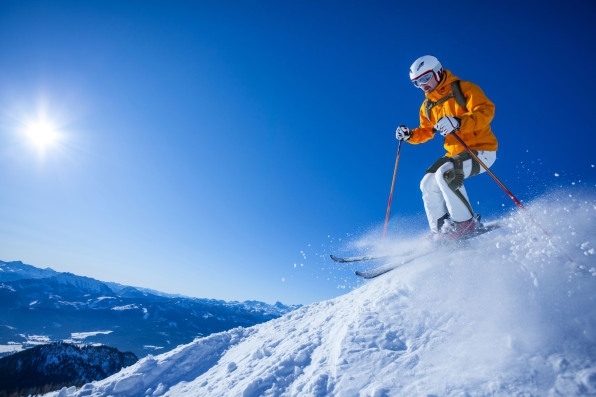 Older skiers should be able to ski like they did when they were younger and stronger. If you look at exoskeletons as they’re often portrayed–such as those sold by Ekso Bionics–you see a lot of metal and motors. By contrast, Roam is using plastics and fabrics, and air for transmission. The company’s core insight, Swift says, is a unique fabric actuator that’s very lightweight, yet strong for its volume and weight. 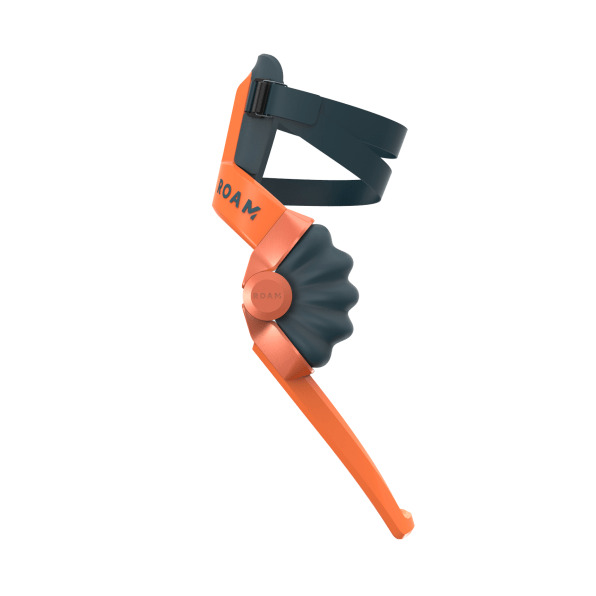 The system relies on valves and a backpack power pack to provide torque to the legs. It also has a machine learning element that’s meant to understand how you ski, and anticipate when you’re going to make a turn in order to deliver the extra torque just when you want it. When ready for market, the skiing exoskeleton is expected to weigh under 10 pounds, including about four or five pounds of equipment that goes in the backpack. The prototype I tried weighed in at about 18. And when it wasn’t activated, it felt heavy, especially when I was sitting idle on the treadmill–and my legs were burning up. That was my quads, Swift says. But once activated, the system delivers the extra torque and takes the pressure off the quads, especially when turning, when it’s needed most. Yet in the final version, at least, the exoskeleton is light enough that most users won’t notice the weight when it’s not activated, Roam argues. That definitely wasn’t the case with the prototype I wore, but having seen prototypes that are further along in their industrial design, I’m a believer. That’s because every time I began a turn, the system actuated, delivering power to my legs, and literally making me feel like it was lifting me up–which, of course, took the pressure off my quads. I only ended up “skiing” the treadmill for a few minutes, but even in that short time, I could see the benefits of Roam’s system, especially knowing that it’s going to be lighter and simpler. And simpler is good, because the prototype was pretty complicated to put on and hook up. No one would buy that version. But when the streamlined final version is ready, I can easily see people paying the equivalent of renting a pair of demo skis for a chance at getting a bit more power out on the slopes and showing up for après with less-sore legs. 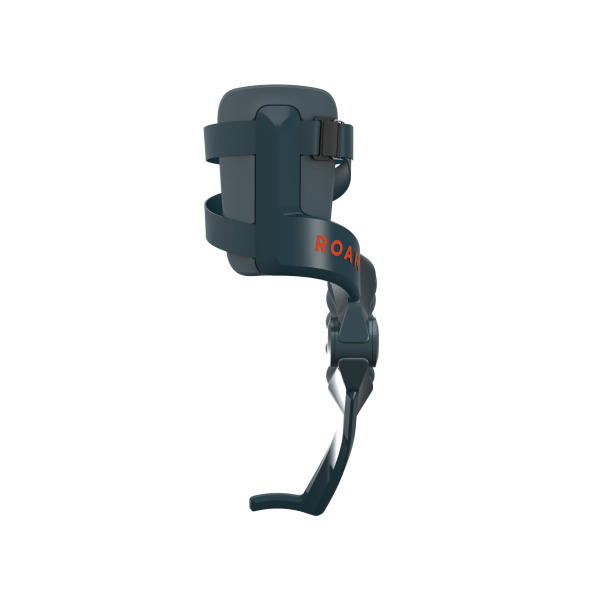 Roam is hoping to get the public into its exoskeleton by next winter, and plans on making them available at first at resorts in the Tahoe and Park City, Utah, areas.